I am so excited to share these photos. After church we stopped by Pleasant Valley Lavender Farm and it did not disappoint. I’ve been wanting to go for awhile but missed the season last year. Today they told us the peak was really around July 4th but I truly couldn’t tell because the fields smelled amazing. They were so kind and took us around briefly and told us how different lavender smelled differently and you could rub it between your fingers and tell some were more earthy and others sweet smelling. They give you scissors and a basket and you are set free to roam. The are fields all around their house with a little tent shop set up out front. They even had baked lavender cookies that they let us sample! The bees and butterflies were everywhere but none of them seemed to care about humans traipsing through they just buzzed around us. 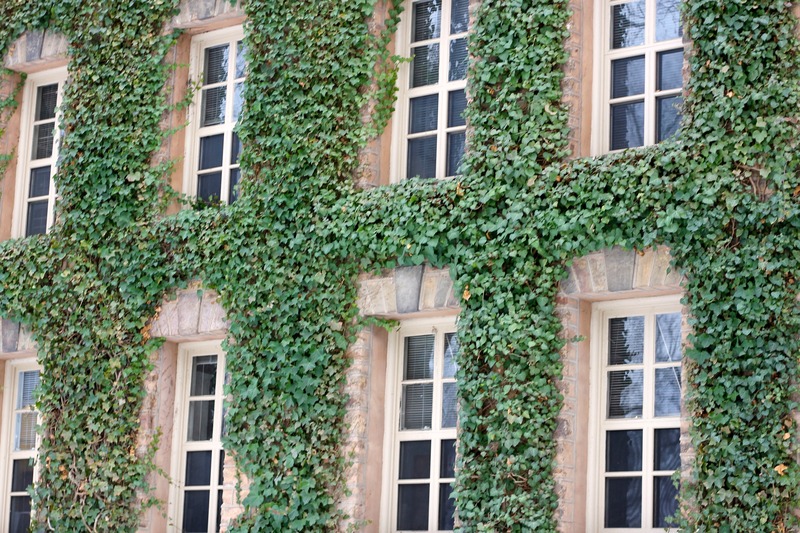 This is the perfect escape in New Jersey to fool yourself into thinking you are in France for an hour or two! Categories: Good Spots, Good Times, Good Travel | Tags: lavender, lavender fields, New Jersey, new jersey blogger, new jersey lavender, pleasant valley lavendar | Permalink. 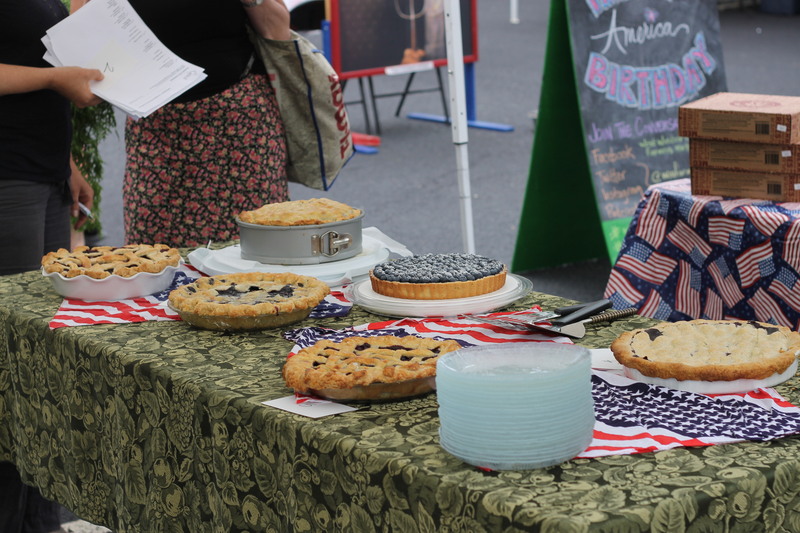 I love participating in our local farmer’s market but the judges and competition are tough! This year I couldn’t believe I actually got third place! I pretty much went into it with low expectations but was thrilled! 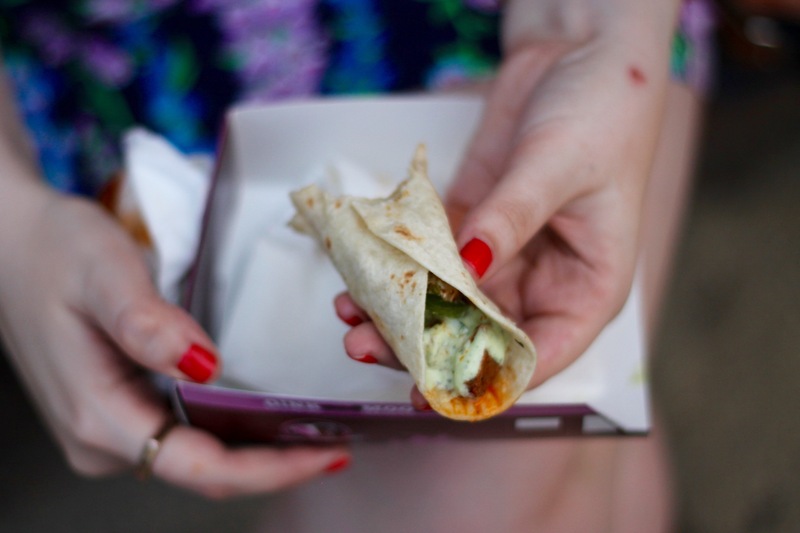 2) Remove from the heat, scrap the filling into a medium bow and stir in the spices. Let cool. 6) Place the pie in the over and decrease the temperature to 350 F. Bake until the crust is baked through and the juices are actively simmering, about 45 min. 2) Add the butter and pulse again until the butter is finely mixed into the dry ingredients. 3) Use a fork to beat the eggs until the yolks are broken and pour into food processor. Pulse again until the dough almost forms a ball. 4) Invert the dough onto a lightly floured surface and gently knead together 3-4 times to make it smooth. 5) Divide the dough into 2 pieces, form them into disks and wrap them each in plastic. Chill for a few hours before rolling. 6) Before rolling the dough, place on a floured surface and gently knead until smooth and malleable. The recipe came from this book. 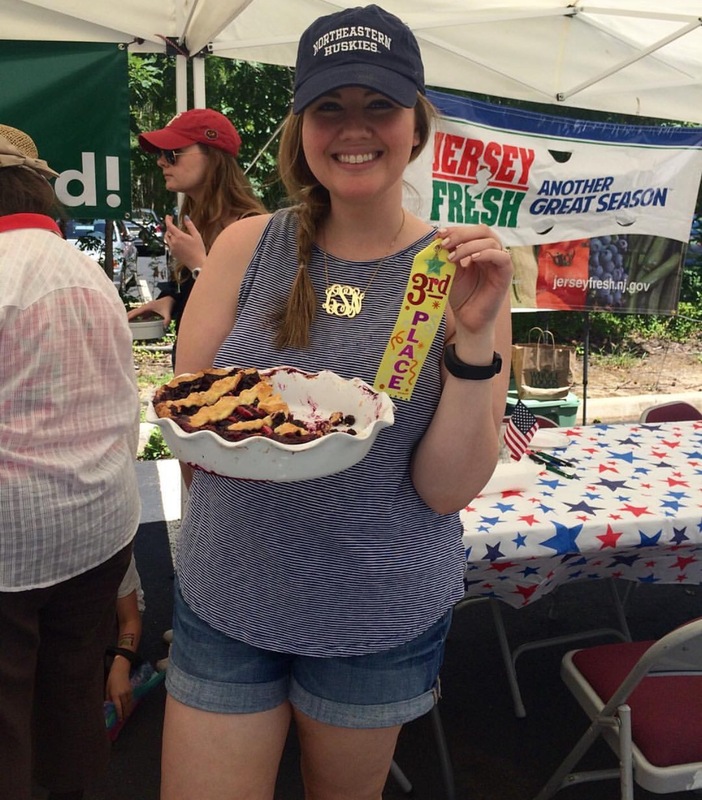 Categories: Good Eats, Good Times | Tags: award winning pie, blueberry pie, cooking contest, jersey fresh, New Jersey, pie contest | Permalink. AND….if I was smarter I would have taken a house photo BEFORE the epic 2 feet of snow hit our house, oops. We’ve been doing lots of things around the house and I’m excited to share some of them with you soon! Categories: Good Design | Tags: first home, home decorating, new home, New Jersey | Permalink. 1) Roll out half of the pie dough to fit an 8- or 9-inch pie dish. Check for the correct size by inverting the pie dish over the dough. The dough should be about 2 inches larger than the dish. 2) Being careful to not stretch the dough, fit into pie dish and trim dough to within 3/4-inch of the edge of the dish. Refrigerate while you make the pie filling. 3) Stir sugar, cornstarch, lemon peel, allspice, cinnamon and salt in a large bowl. Add blueberries and gently toss to combine. 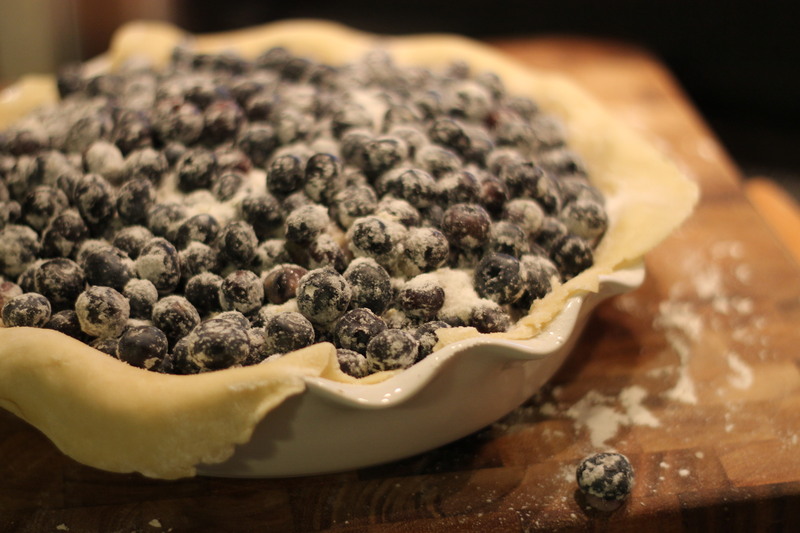 Transfer blueberry filling to prepared pie crust. 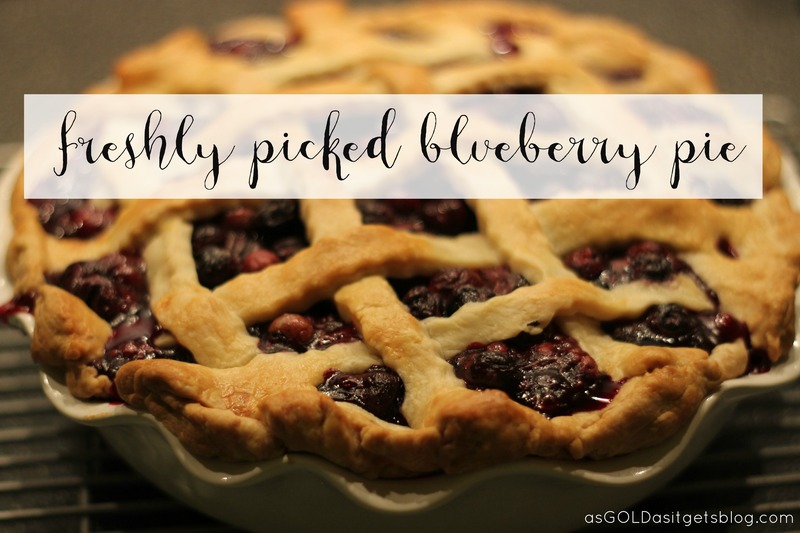 Refrigerate while you prepare the lattice crust. 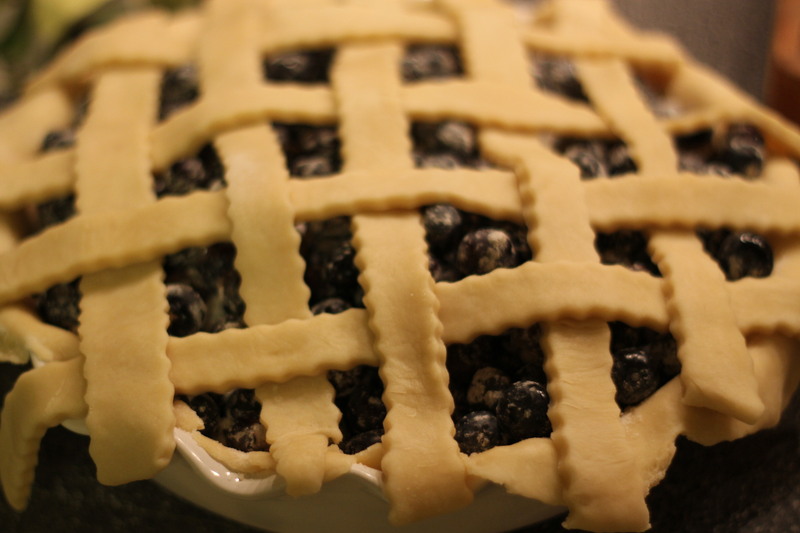 4) Once you interlace the lattice crust over the pie filling, place the butter over the open areas of the lattice. 5) Then, make an egg wash by whisking the egg yolk and cream together and brush over the pie dough. Sprinkle sugar over the crust. 6) Place pie in the fridge for 20 minutes minutes before baking for 20 minutes at 400 degrees F on the lower third of your oven. Then reduce heat to 350 degrees F and bake for another 35-40 minutes until crust is golden and filling is bubbling. (Baking on the baking sheet will catch any drips from the pie as it cooks.) Cool for 2-3 hours before serving so filling can set. 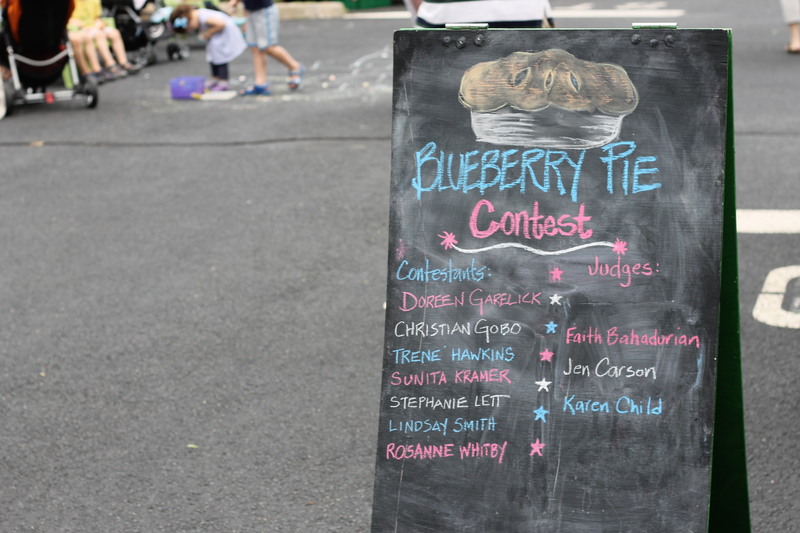 Categories: Good Eats | Tags: blueberry pie, farmers market, New Jersey, pie recipe, recipe, west windsor | Permalink. 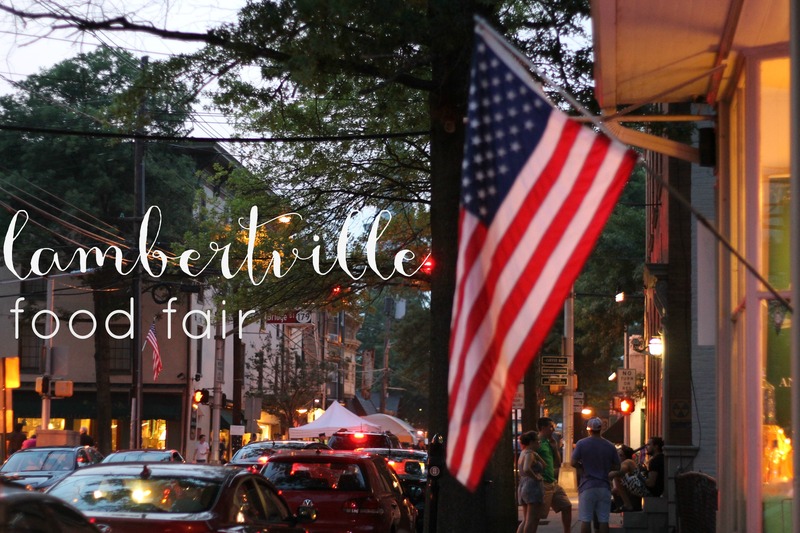 We had such a fun time at the Lambertville Food Fair yesterday. 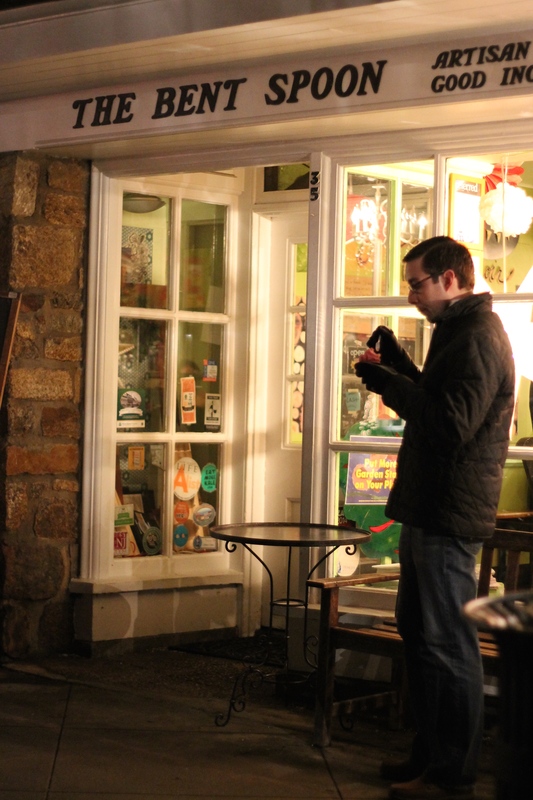 We were a little nervous as there was a complete downpour on on drive there but it never seemed to hit Lambertville! 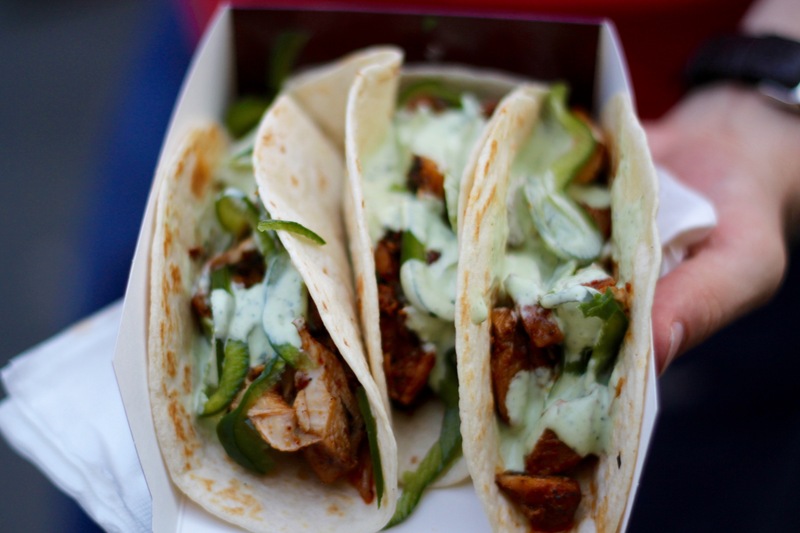 Food trucks are still something I struggle with (think: roach coach) but these trucks and a few others have really changed my way of thinking about food coming from a truck. Categories: Golden Local Eats | Tags: food trucks, Lambertville, New Jersey, new jersey food trucks, philly food trucks | Permalink. 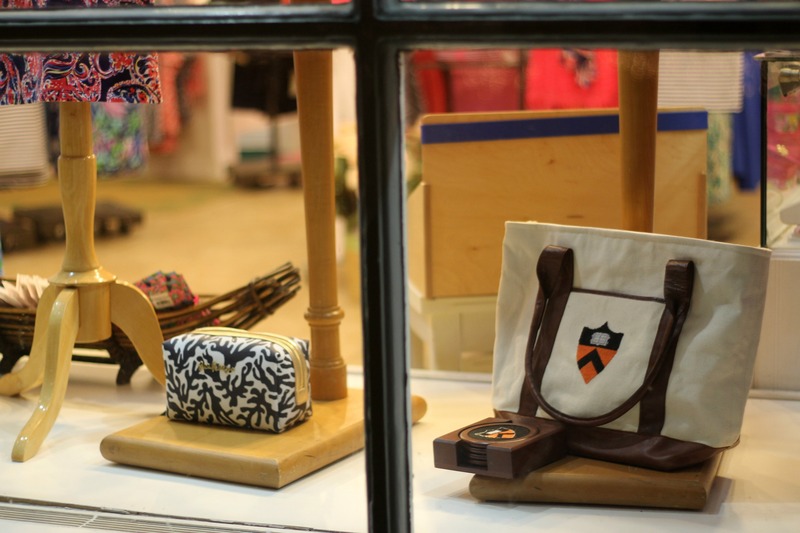 Today I’m featured over at Mon Amye sharing things to do in Princeton, New Jersey. I’m so excited to be a part of Amye’s new spotlight series! Check out the post here. Categories: Good Travel | Tags: guest post, New Jersey, princeton | Permalink. One of my favorite things growing up is when we would approach our exit coming from school and on my favorite days my Grandpa would say, “should we stop and get a blizzard?” or “I think we really need some ice cream today”. I would eagerly await and see if he said it or if we would just go home. But the days he said it were the absolute best! 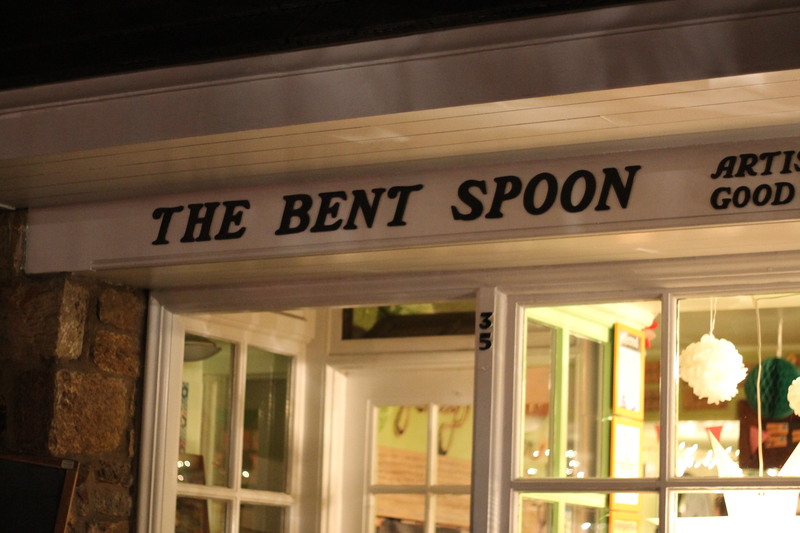 Conversations are best served over ice cream.These days I live from from any Dairy Queen but Princeton offers a good substitute in The Bent Spoon. The location is right in Palmer Square across the street from the University and its always packed! There’s virtually no seating indooors but its perfect to grab an ice cream (or sorbet) and walk around the square and peruse the shops. 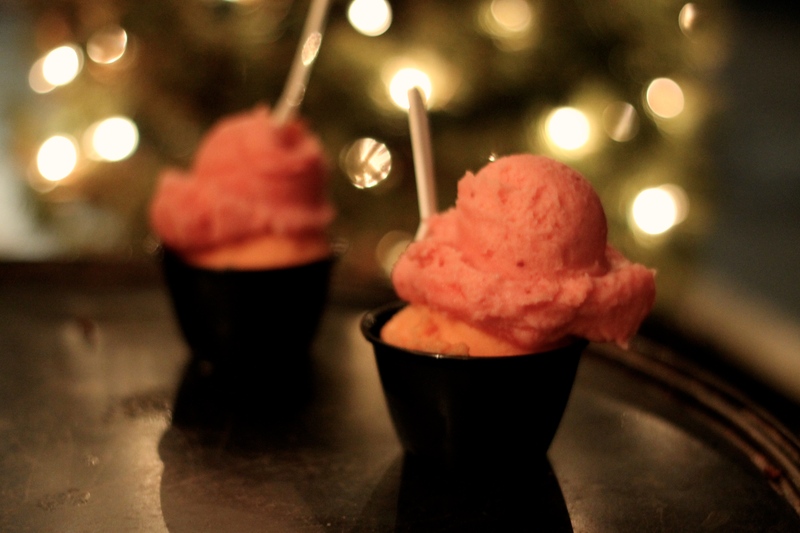 Why is it that ice cream sounds good in freezing temps? We braved the outside bench for a while until it was just too frigid to enjoy. 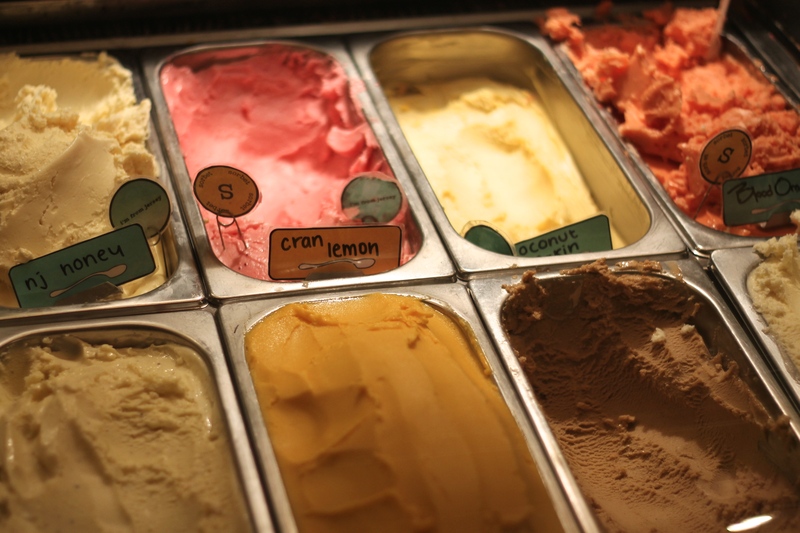 They offer up crazy concoctions (cardamon cinnamon), old faithfuls (vanilla salt caramel or mint chocolate) and new spins on things (NJ honey ice cream..) You can check out what flavors they are currently rotating by checking out their Twitter. 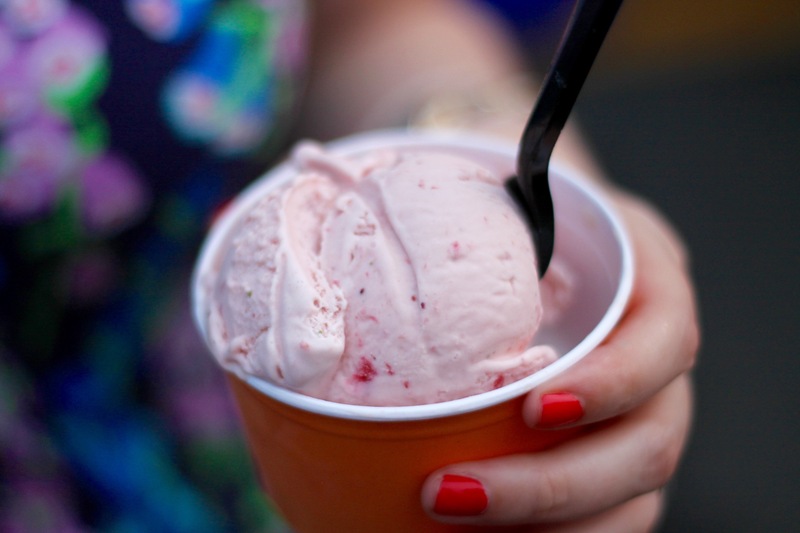 Categories: Golden Local Eats | Tags: ice cream, New Jersey, princeton, the bent spoon | Permalink.